Windows 10 last month for the first time passed the 40 per cent milestone, but adoption still lagged behind the venerable Windows 7, which refused to budge from its dominant spot. The 40.4 per cent represented an estimated 606 million Windows personal computers, calculated using Microsoft's oft-cited number of 1.5 billion Windows PCs worldwide. Microsoft's most recent claim for Windows 10 was that the operating system was on nearly "700 million ... connected devices," a statistic it touted in early May. However, Microsoft counts not just PCs, but also Xbox gaming consoles, tablets and a small number of Windows-powered smartphones, which run Windows 10. Even the 700 million figure, give or take a few million, fell short of the target Microsoft set itself in May 2015, months before Windows 10's debut, when then-head of Windows, Terry Myerson, said, "Our goal is that within two to three years of Windows 10's release there will be one billion devices running Windows 10." Little more than a year later, however, Microsoft disavowed the one billion figure and blamed the expected shortfall on the in-serious-decline Windows 10 smartphone business. But industry analysts pointed to other factors that made the billion-or-bust target unachievable, including a long decline in global PC shipments. While Windows 10 posted an impressive gain in June — the largest since January — contrary to expectations, Windows 7 lost little. The 2009 OS dropped half a tenth of a percentage point last month, ending with a user share of 41.7 per cent of all personal computers and 47.3 per cent of all those running Windows. By Net Applications' numbers, the growth of Windows 10 came at the expense of Windows 8 and 8.1 (which contracted by four-tenths of a point) and the ancient Windows XP (which fell by nearly a full percentage point). So, while the increase in Windows 10 was good news for Microsoft, the stubbornness of Windows 7 was not. As the end of support for Windows 7 approaches — it is now 18 months away — the forecast remains cloudy. Computerworld currently predicts that, based on Windows' past 12 months, Windows 7 will account for more than 36 per cent of all active Windows editions in January 2020. At that time, Windows 10 should power nearly 60 per cent of all Windows laptop and desktop PCs. Net Applications' latest numbers placed the crossover point for Windows 10 — when the newer OS will run a larger percentage of all Windows PCs than the older edition — in November. The trend lines for Windows 10 and Windows 7 signal that for January 2019, just 12 months from Windows 7's retirement, Windows 10 will run 47.7 per cent of all Windows systems, while Windows 7 will power 43.7 per cent. Microsoft's own Windows 10 claims show an adoption acceleration, although with so few data points, that conclusion is on shaky ground. According to the Redmond, Wash. company, it took 159 days to push Windows 10 from 600 million to 700 million, or 44 fewer days than it took Windows 10 to go from 500 million to 600 million (the shift from 500 million to 600 million took just 23 fewer days than from 400 million to 500 million). 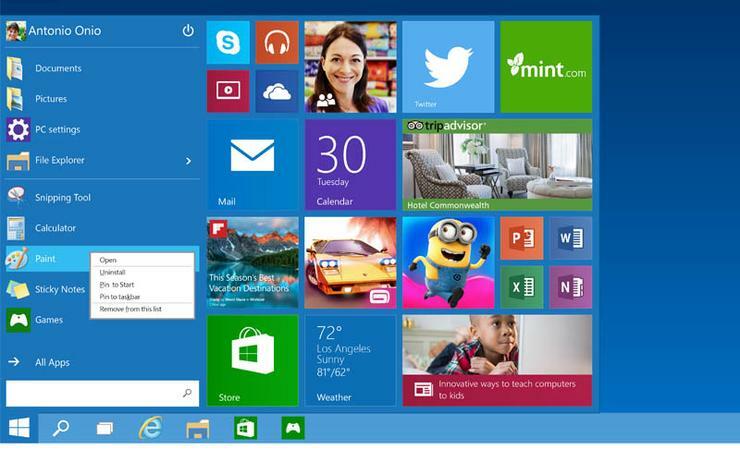 For Microsoft, the demise of Windows 7 can't come soon enough. The company has issued several edicts to cajole and convince customers to drop it for Windows 10, including declining to support it on newer silicon and a failed attempt to cut off support to some users two and a half years early. Microsoft's stated motivations for such decisions — that Windows 7 is no longer good enough, secure enough, fast enough, to work on today's hardware or solve today's problems — may not be the whole story. For instance, Microsoft's long-term strategy emphasises subscriptions to monetise its products and services; Windows 10, unlike its forerunners (including Windows 7) was designed for frequent updating, a key component of the appeal of software-by-subscription. Nor does Microsoft want to be embarrassed by large-scale attacks against Windows 7 once it halts security updates to all but those who fork over money for an extension. If the firm had a say, there would be no PCs running Windows 7 after 14 January 2020, the support cut-off. That's not going to happen. From all evidence available today, Windows 7 will, in fact, be more widely in use at its retirement than was Windows XP, which powered 29 per cent of all Windows personal computers at its April 2014 end-of-support. Elsewhere in Net Applications' data, the user share of Windows overall dropped by approximately half a percentage point to 87.9 per cent, while the combined share of all macOS and OS X editions accounted for 9.7 per cent, an increase of seven-tenths of a point. Linux, whose loyalists have aggressively touted the open-source OS for decades as a desktop alternative to Windows, recorded a one-tenth percentage point loss in June to 1.9 per cent, returning the OS to the underside of the two per cent bar. Net Applications calculates user share by detecting the agent strings of the browsers people use to visit its clients' websites. It then tallies the visitor sessions — which are effectively visits to the site, with multiple sessions possible daily — rather than count users, as it once did. Net Applications thus measures activity, although differently than rival metrics sources that focus on page views.